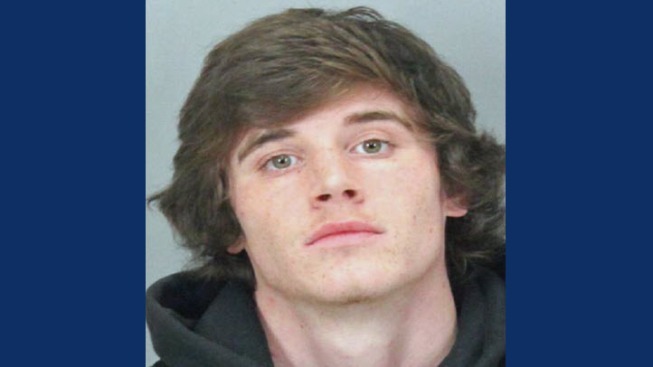 The Sunnyvale Department of Public Safety has identified Ryan McCleaf as the man arrested Monday on suspicion of kidnapping and domestic violence against a 17-year-old girl he was allegedly dating. Officers responded at around 1:15 p.m. to a report of an argument behind a 7-Eleven store in the 2100 block of West Homestead Road. When they arrived McCleaf, 19, ran, jumping over a fence into a nearby apartment complex. He left a backpack behind that contained a loaded gun, public safety officials said. As officers were setting up a perimeter, they determined that the victim had been kidnapped. McCleaf was thought to be armed and dangerous, so they requested a lockdown of nearby Homestead High School in Cupertino. McCleaf was subsequently spotted inside the police perimeter and a foot chase began, according to public safety officials. He was detained, but allegedly resisted and had to be treated for minor injuries at a hospital. McCleaf was arrested on suspicion of weapons offenses, felony assault on officers, kidnapping and domestic violence. The victim was not injured and neither were the arresting officers. Anyone with more information is asked to contact investigators at (408) 730-7120.